Please feel free to forward or post this RRC Extra widely. We only ask that you include the information that anyone can subscribe free of charge to Rock & Rap Confidentialby sending their email address to rockrap@aol.com. A GOLDEN THREAD, A NEEDLE…. He never was. He never needed to be. 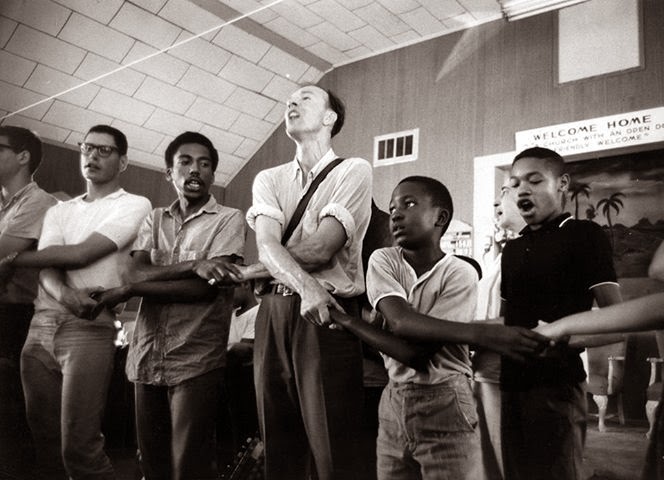 Like everybody else, Pete Seeger set examples good and bad. We might pause here to take notice that, though his feet were of clay, he had a remarkable ability to keep them shod. By which I mean, his transgressions may have been personal but they were very rarely public and he knew how to back down. In 1967 or so, he made a record using electric guitar—not played by him--and somewhat heavier beats. And then returned to doing what he did, as he should have. Toshi, at least as formidable and complicated as her husband, allowed herself the bitterness Pete never expressed. They had a lot to be bitter about. After being smeared as a Red, Pete became an unusually uncooperative witness before the House UnAmerican Activities Committee in 1955. HUAC had caused the Hollywood Ten to be imprisoned for contempt of Congress in1950. The Ten lost for standing on the First Amendment as the basis for their refusal to testify. Since then, it had become the practice to stand on the Fifth—the non-incrimination clause--rather than freedom of speech and association. Pete returned to the fundamental issue: “I am not going to answer any questions as to my association, my philosophical or religious beliefs or my political beliefs, or how I voted in any election, or any of these private affairs. I think these are very improper questions for any American to be asked, especially under such compulsion as this."